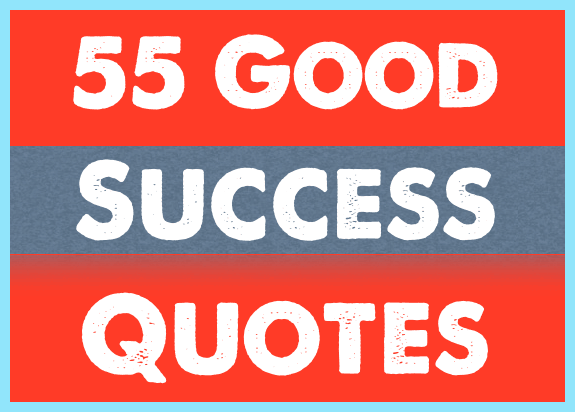 Our 55 Good Success Quotes come from a variety of sources. From Bruce Lee to Mark Twain, there’s something for everyone. Hard work, a stick-to-it nature, and having faith in yourself are a few of the common ingredients. Success means different things to different people. The most important step to achieving success in your life is to know what it means to you in your personal or professional life. It can mean becoming wealthy, achieving something tangible in life, earning a title or discovering something in your field of specialization or anything else. One of the best ways to define success is to make this world a better place and lead a happy life. There could be as many definitions of success as there are human beings on this planet. Here are some great quotations and sayings associated with success that will give you a better perspective into what success is and how you can become more successful in your life. Check out our being thankful quotes. Twenty years from now you will be more disappointed by the things that you didn’t do than by the ones you did do. So throw off the bowlines. Catch the trade winds in your sails. Explore. Dream. Discover. All of our dreams can come true if we just have the courage to pursue them. To have success, you can’t let failure stop you. To have great success, you can’t let success stop you. First they ignore you. Then they laugh at you. Then they fight you – Then you win. Success is no second-hand thing. It is all right to give men the impulse, but the details they must work out themselves. When Love and determination work together expect a masterpiece. The elevator to success is out of order. You’ll have to use the stairs. One step at a time. Nothing in the world is more common than unsuccessful people with talent, leave the house before you find something worth staying in for. You’re on 55 Good Success Quotes.